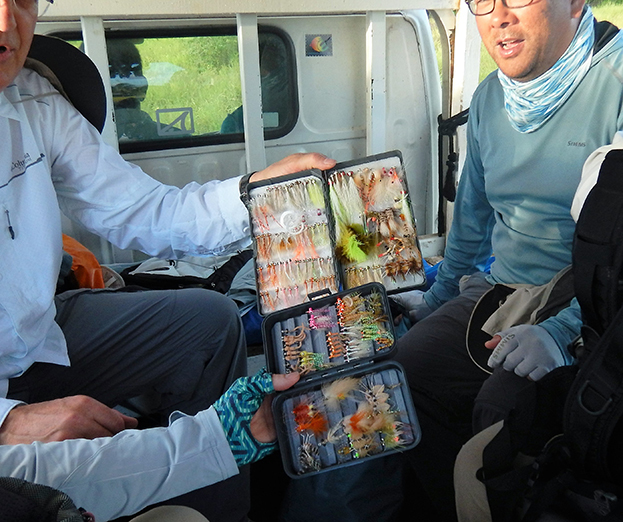 Join us in the winter for a hands-on warmwater fly tying class with our expert guide Mark Shimazu. He cut his teeth on Hawaiian bonefish, but has traveled the world chasing tarpon, trevally, triggers and every other spooky fish he can put his eyes upon. Materials included, please bring your own vice and tools. 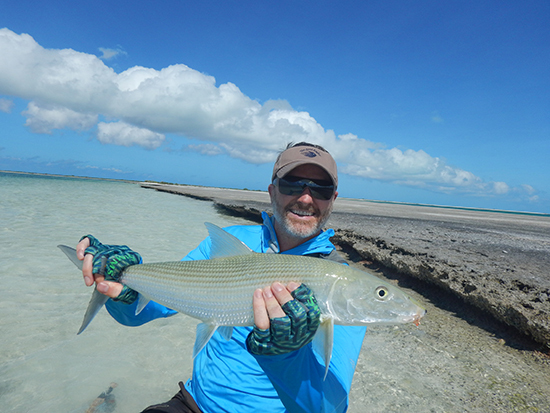 Hosted trip guest, M. Ronfeldt, with a nice Christmas Island Bonefish.